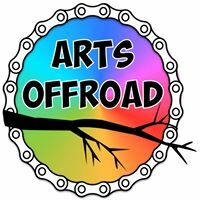 ArtsOffroad is back -- this time along the Minuteman Commuter Bikeway with some pop-up art in celebration of the bikeway’s 25th anniversary, September 29, 2018. During this day we are encouraging residents and visitors to use the bike path by providing wonderful things to look at and listen to along the path. Artists of all ages are being sought to perform, and to display art. Organizers have identified locations along the bike path where there is both space to perform and space to pull off the path to watch. To see some of these locations, click here. Performance locations along the bike path do not have electrical hook-ups, so performers will need to be without amplification. Ideally, music & song & dance will happen between 11am - 2pm. Artists are invited to play the entire time (with breaks), or a portion of this time. Midday there will be a community fair around the theme of bicycling and the bike path at the Lexington Visitors' Center. ​Art along the bike path is a magical thing. These installations will be expected to be installed along the bikeway by 10am on Saturday. Artists are welcome to suggest locations where their art would be best positioned along the bike path, but again it will need to be in an area that cyclists, etc. can pull off the path to look at. Artwork will need to be removed by dusk on the same day unless previous arrangements have been made. There will be an BIKE ART CONTEST, with awards in the afternoon at the Lexington Visitors' Center. This includes bikes that have been decorated and placed around town. Artists and collaborators are invited to park these bikes in front of their businesses or in bike racks or other places for everyone to enjoy, but bikes not on the bikeway are asked to be at the Visitors Center by noon on 9/29. ​There is also an opportunity for artists to display traditional paintings, drawings, photography, etc. at the MCA gallery for the months of September - October. Click here for more information. In the event of heavy, steady rain the event will be cancelled. This will be called on the day at 8am.